Grandpa’s Hole is located on the same farm as the Blackfathom River Cave and a permit for both caves is possible at the same time. While an old gravel road basically leads to this cave, it has not been maintained with fresh gravel for several decades and becomes extremely slick when wet. The grade to the cave is fairly flat and once new gravel is down, access to the cave can be granted at any time. The cave was discovered in January/February of 2009 when members of the SEMO grotto, started digging trash out of a sinkhole. The more trash they dug out, mostly tires, the deeper into the sheer bedrock walled sink they went. 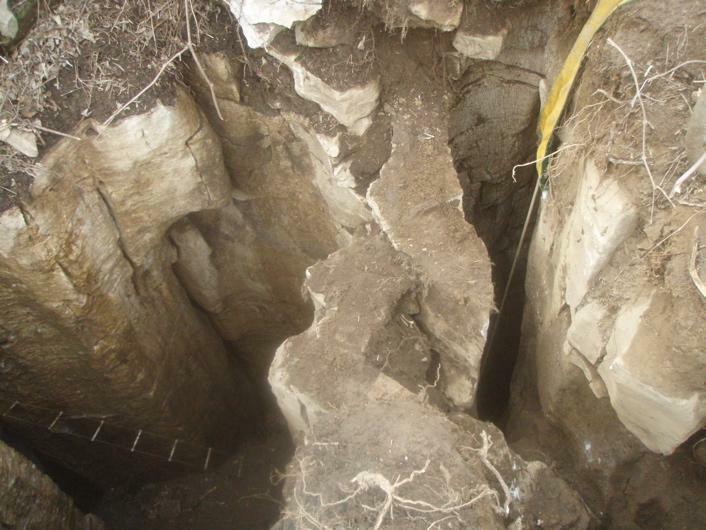 In no time at all, a hole was exposed where a large black void was exposed. As there was a large amount of metal and other sharp items in the sink, a cable ladder was rigged where a 45 foot downclimb was conducted into a large room on top of a massive pile of tires. The cave was mapped in its entirety on this same day. 498 feet of survey was obtained in the mostly large chambered cave and unfortunately the amount of trash in the cave is rather staggering. One entrance, which is now open and horizontal, was used as a trash dump by the old farm house, while the pit entrance was used as a tire dump and still has many tires to be pulled out. 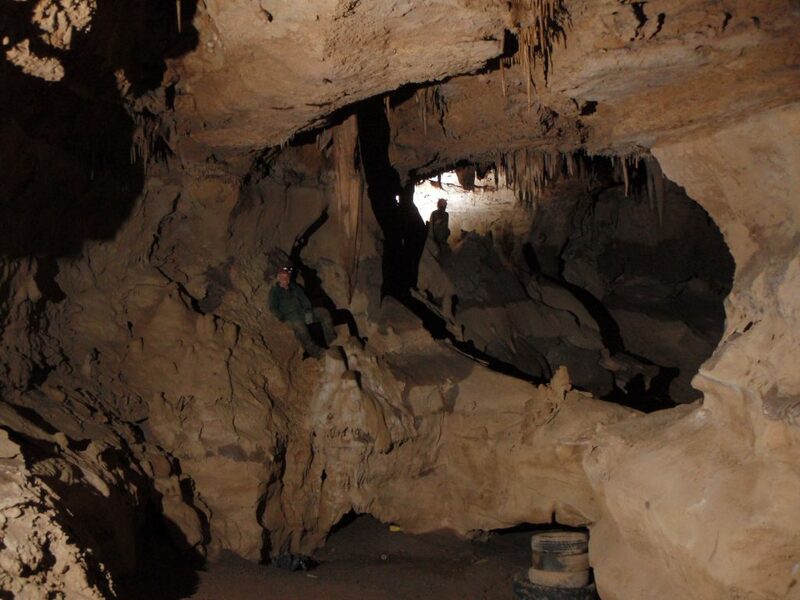 Large scale cleanups will be conducted at this site in the future as there are several dozen bats roosting in the cave during the winter months as recent as December of 2018. Unfortunately, the crawl between the two entrances is heavily filled with glass and will likely have to be cleaned up with meticulous collecting of glass with buckets/sleds and other containers. The cave is likely a satellite cave to the Blackfathom River Cave, which is just to the north, across the valley from this cave; however, a dye trace has never been conducted to prove where this water goes.